The SRB Precast Formwork System is unique, comprehensive and lightweight. Designed and manufactured in Australia, the system is superbly suited to the robust and demanding requirements of the precast industry. Lightweight magnet clamps that punch way beyond their weight and size in comparison with other magnet clamps on the market. Fully adjustable sideform / edgeform moulds that allow height adjustment in 5mm (¼ inch) increments, and the ability to change the edge fillet chamfer. It is arguably the most efficient, profitable, safest and user friendly system on the market. SRB Systems is continually undertaking research and development to create smaller, lighter and stronger magnet clamps for use in supporting formwork, and other components and auxiliaries, to steel precast tables. SRB Systems have designed and manufactured a number of brilliant trolleys and tools to make your job a lot more simple and efficient. Check them out in this section. SRB Systems Sideforms are developed for optimum functionality and efficiency. All our sideforms are manufactured from structural grade aluminium extrusion making them strong and lightweight. This enables handling and installation to be a one man operation and eliminates the need for slow and cumbersome handling equipment. This results in substantial cost efficacy and productivity increases. Our novel Spartan & Centurion Sideforms / Edgeforms are a composite sideform incorporating interchangeable capping profiles. This enables sideform height adjustment up to 50 mm (2 inches) overall, in small 5 mm (¼ inch) increments, simply by snapping on a new capping profile on the standard height aluminium extrusion. 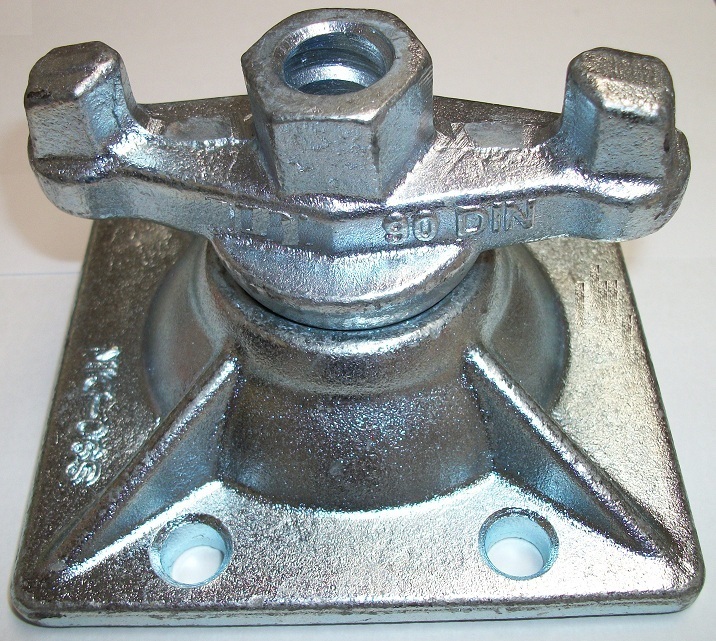 Accordingly, a 150 mm (6 inch) sideform can increase in height to a 200 mm (8 inch) sideform, or to any size in between in 5 mm (¼ inch) increments. This incredible adjustability eliminates the need to carry vast stock of costly varying size edgeforms and sideforms, which can in turn be replaced with stock of far more cost-effective varying polymer capping sizes and profiles. All our capping profiles and sideforms are colour coded for size which greatly simplifies quality assurance procedures by allowing for visual checking of edgeform heights. Not only can the sideform heights change, the chamfer profile can also be changed via varying chamfer profiles in the capping. The Spartan Sideform has rubber base inserts for chamfers that seal against the steel casting bed / table to minimise concrete bleed under the sideform. This greatly improves quality and drastically reduces labour and material costs in cleaning the casting beds and repairs to concrete edge. The Centurion and Spartan Edgeforms are epoxy powder coated to minimise concrete stick / adhesion and give better edge finish to the concrete. Precast Magnet Clamps are not the only method of securing sideforms or shutters to a precast table. For situations where use of precast magnet clamps is prohibitive, SRB have developed alternate mechanical fixing methods for sideforms and shutters, both of which are completely compatible and able to be integrated with the Magnet Clamp System. Accordingly workers are not limited to one system. A varied combination of fixing methods and situations can be used without any waste because the same parts and components are fully integrable between the different methods and systems.